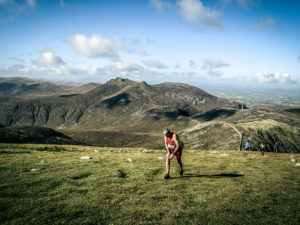 The race will be in an anti clockwise direction this year, that is – Donard and Commedagh followed by Slieve Bernagh, Meelmore, Meelbeg, Ben Crom Dam, Slieve Binnian, and Slieve Lamagan. The start and finish will be at the pavilion in Donard Park. Unlike the challenge walk taking place at the same time, this race will be entry on the day only. We will be using electronic timing for the race and control boxes will be situated on each of the Seven summits and at the Bencrom Dam. Runners will also be carrying six green plastic tags with their race number on them, and they will hand one to each of the six groups of marshals they will pass. This is the best method for the marshals to keep track of who has passed by, both walker and runner. 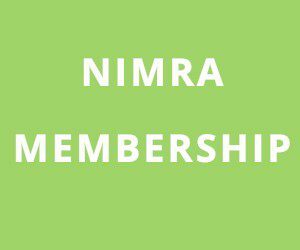 You will also be provided with a white plastic numbered tab which must be handed in at the finish together with your electronic dibber. You will have priority over walkers at the marshal points but please be courteous to our marshals who may be hard pressed at various times of the day. Remember that water is in short supply for long sections of the route and navigation can be tricky in places if the weather should close in. As this is a long race, FRA rules requiring the carrying of full waterproof body cover plus whistle, compass and map must be observed. Food, drink, mobile phone and an emergency foil blanket or bag would also be recommended. There will be a kit check before the start of the race. Please note that the race is not suitable for walkers as they will fail to make the cut off times and keep the marshals on the hills much longer than necessary. Walkers will find their event on the Spartan Red Sox web site.